VAYFA and American Youth Football and Cheer honors Academic Achievement for all of our student athletes who maintain a GPA of 3.0 or higher. 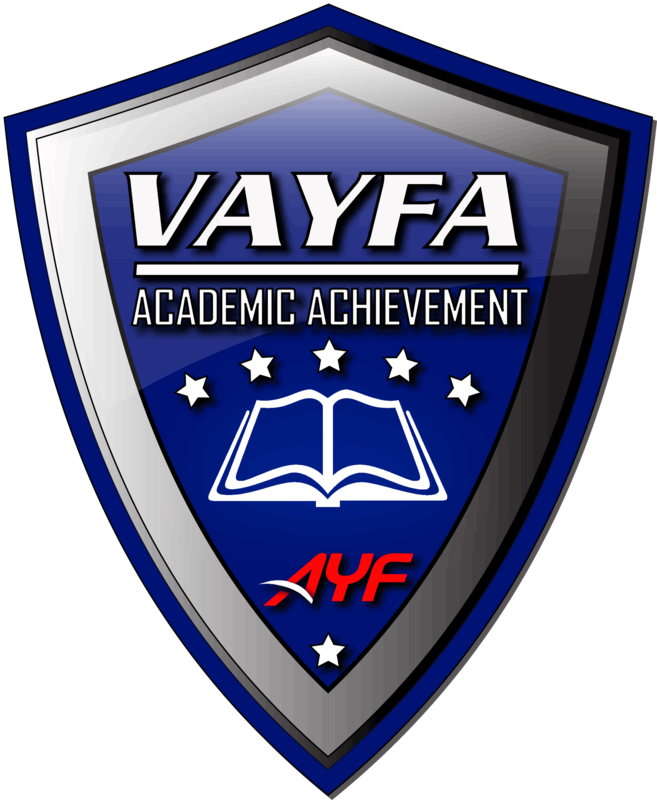 In VAYFA we honor our student athletes with the VAYFA Academic Acheivement Helmet Sticker for Football and the VAYFA Academic Acheivement Patch for Cheer. Be on the look out for this shield and congratulate any of our student athletes who wear it.